Chef Paul Kirk shares this Sticky Lemon Pepper Chicken Wing recipe that he used in 5 contests over the years. It won 1st place in 3 competitions, a 2nd place, and a 3rd place. Let’s see how you do with it. We would love it if you would share your photos on Facebook and Instagram. Paul Kirk CWC, Ph.B., B.S.A.S., the Kansas City Baron of Barbecue is a frequent smoker cooker instructor at Lang BBQ Smokers’ Q-School smoker cooking classes. He has authored or coauthored 12 barbecue books that you can find on Amazon or his website. 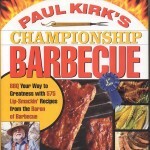 His recipe book Paul Kirk’s Championship Barbecue has a great recipe for a Kicked-Up Horseradish Grilled Chicken Wings. Chef Paul is one of the rare breed of competitors that is willing to share an award winning recipe and we are thrilled that we can share it with you! 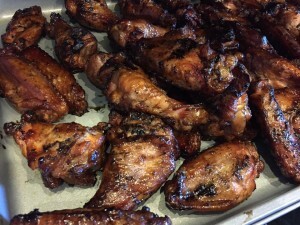 It works great if you have one of our HYBRID Lang BBQ Smokers models with both a grill and a stick burning smoker cooker as you can smoke these wings low and slow on indirect heat or grill them up fast. Use hard wood from your region. If available, add some citrus wood chunks for additional flavoring. Award winning recipe by Chef Paul Kirk. Great for any occasion! Cut the chicken wings into segments and remove the tips. Mix together all of the marinade ingredients in a small bowl. Place the wing segments in a gallon Ziploc with the marinade. Seal, removing all of the air and refrigerate overnight. Preheat a grill or smoker to 350º degrees F for indirect cooking. After 15 minutes, take a wire brush and clean your grill grates. Using a pair of tongs, dip a folded paper towel or a piece of cheesecloth into a small bowl of vegetable oil. Rub the oiled paper towel/cheesecloth on the grill grates to help create a nonstick cooking surface. Carefully remove the wings from the marinade, shaking the excess liquid. Discard the excess marinade. Place the wing segments on the grate. GRILLING (25 Minutes): Prepare a medium-hot fire in your grill. Grill for 10 to 12 minutes. Turn and continue to cook until the internal temperature reaches 180º degrees F and/or the juices run clear, 10 to 15 minutes longer or until done. LOW & SLOW SMOKER COOKER (2 hours): Cook at 230 to 250 degrees F. Turn the wings every 40 to 45 minutes. 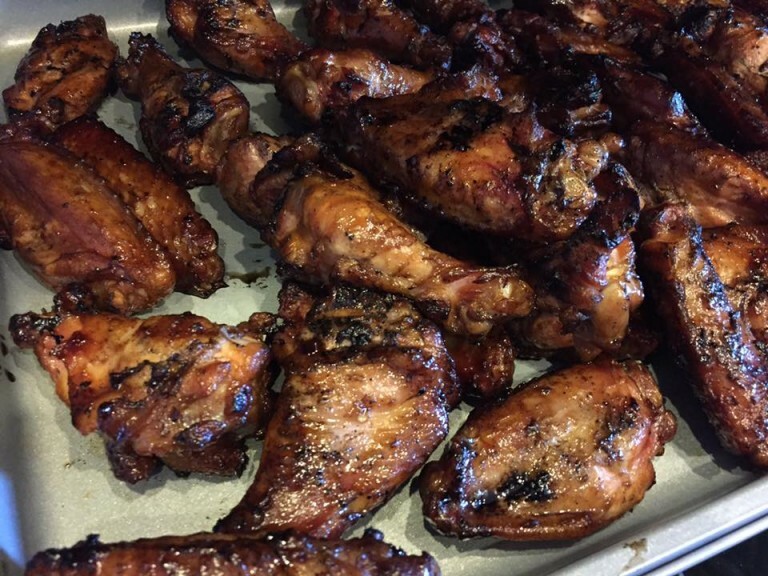 Internal temperature should be 180º degrees F.
This entry was posted in Poultry and tagged smoked chicken wings by . Bookmark the permalink.